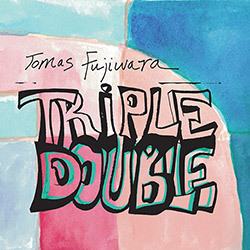 Drummer Tomas Fujiwara's sextet is actually two trios interacting, with fellow drummer Gerald Cleaver, both Mary Halvorson and Brandon Seabrook on guitar, and Taylor Ho Bynum on cornet and Ralph Alessi on trumpet, the pairings forming unisons and contrasts that add an unrestrained sense of enthusiasm and excitement to Fujiwara's sophisticated compositions. 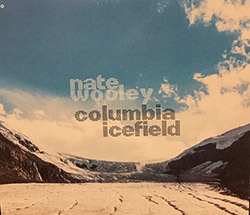 With two guitarists--Mary Halvorson and Susan Alcorn on pedal steel--and Ryan Sawyer on drums, New York trumpeter explores the Rocky Mountains Columbia Icefield, the largest icefield in the Canadian Rocky Mountains, through sophisticated compositions and superbly illustrative sound, an exceptional album of improvisation and intention from four modern masters. 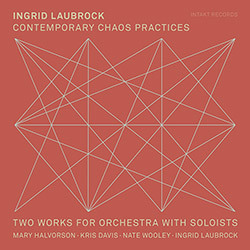 Studio recordings of two startlingly impressive compositions for orchestra and improvisers, with four soloists--Mary Halvorson (guitar), Kris Davis (piano), Nate Wooley (trumpet), and Laubrock (saxophone)-- presenting "Vogelfrei" written for the 2014 second Jazz Composers Orchestra Institute Reading, and "Contemporary Chaos Practices" written for the 2017 Moers Festival. 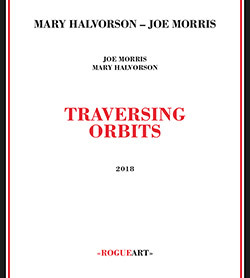 Two of this generation's most influential and skilled guitarists, Mary Halvorson and Joe Morris bring their distinct styles and jaw-dropping mastery of their instruments into a duo of collective improvisation, neither player using effects but instead impressing by (often high-speed) lyricism, incredibly precise interaction, and the warmth their long association brings to them. 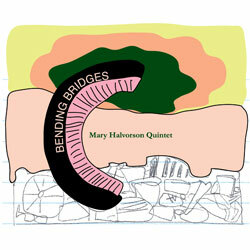 Always open to new approaches, NY guitarist Mary Halvorson takes her trio with drummer Tomas Fujiwara and bassist Michael Formanek, adds trumpeter Ambrose Akinmusire and, in a twist of the thumbscrew, vocalist Amirtha Kidambi, for a mix of song and instrumental pieces that balance jazz and rock sensibilities with lyricism, intricate lines, and creative spirit. 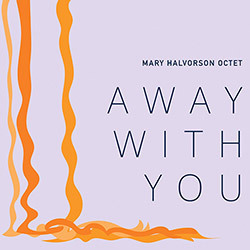 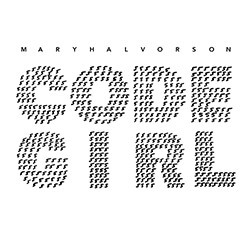 Mary Halvorson continues her string of excellent modern jazz albums with this octet release with fellow guitarist Susan Alcorn, Jonathan Finlayson (trumpet), Jon Irabagon & Ingrid Laubrock (sax), Jacob Garchik (trombone), John Hebert (bass) and Ches Smith (drums). 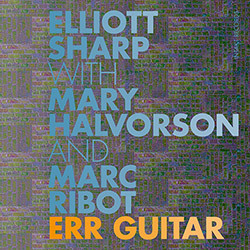 Elliott Sharp's New York Studio zOaR was the meeting place for three New York guitarists--Sharp himself, Mary Halvorson, and Marc Ribot--who find common ground by blending a variety of approaches to the instrument in 12 excellent and generally succinct collective improvisations, stretching, bending, plucking and inexplicably effecting their guitars. 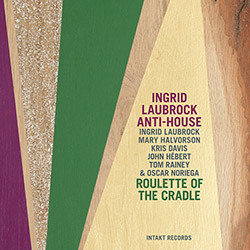 Tenor and soprano saxophonist Ingrid Laubrock's NY band with guitarist Mary Halvorson, pianist Kris Davis, bassist John Hebert, and drummer Tom Rainey in their 3rd album as Anti-House, with strong compositions pushing the quintet into great improvisational territory as the band pushes and pulls each other to create something greater than each player. 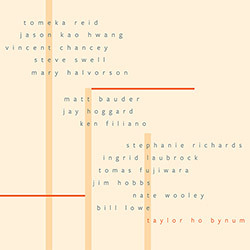 A cooperative band of mostly NY improvisers-- Mary Halvorson on guitar, Tomas Fujiwara on drums, Taylor Ho Bynum on cornet & flugelhorn, and French pianist Benoit Delbecq, recording in the studio for a album of uniquely unusual and rewarding compositions from all players. 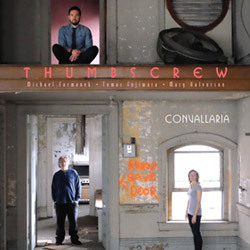 The NY improvising trio of Mary Halvorson (guitar), Michael Formanek (double bass) and Tomas Fujiwara (drums) follow their "Thumbscrew" album with this impressive release of avant jazz, balancing melodic and technical playing with beautiful pacing and insightful interaction. 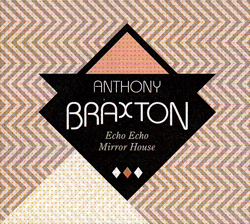 1st studio recordings of Echo Echo Mirror House Music, a framework where musicians Braxton, Halvorson, Bynum, Pavone, Testa, Siegel, & Rozen navigate scores combining cartography and graphic notation on instruments plus iPods with samples from Braxton's recorded discography. 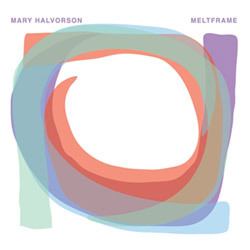 NY guitarist Mary Halvorson's solo album, worked out after a tour opening for King Buzzo, has her performing creative interpretations of works from modern composers like Roscoe Mitchell, Ornette Coleman, Oliver Nelson, & Tomas Fujiwara, back to Duke Ellington's "Solitude". 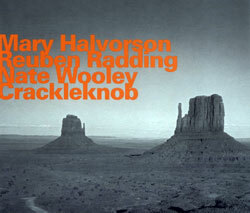 A beautifully balanced Downtown NY album mixing rock forms with improvisation from some of NY's finest improvisers: the trio of Mary Halvorson (guitar, voice, compositions), Kyle Forester (bass), and Kevin Shea (drums) with guests Peter Evans, Sam Kulik, and Dan Peck. 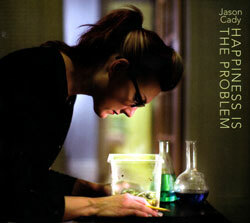 A thoroughly modern and bizarre two-act opera about three struggling roommates in Brooklyn performed with Jason Cady, Mary Halvorson, Tomas Fujiwara, Jessica Pavone, Tim Dahl, Ben Holmes, Katie Young, &c.
Mary Halvorson leads her Septet with Jonathan Finlayson (trumpet), Jon Irabagon (alto sax), Ingrid Laubrock (tenor saxophone), Jacob Garchik (trombone), John Hebert (bass) & Ches Smith (drums) through 6 original compositions and a Robert Wyatt cover! 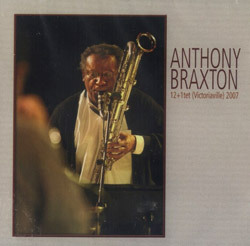 Composer/saxophonist Braxton performed "Composition NO 347 + 62'37" " at the 2011 Victo Festival with the "super-group" of Braxton alumni - Mary Halvorson, Taylor Ho Bynum, Jessica Pavone, Jay Rozen, Aaron Siegel, Carl Testa", on their respective instruments + iPods. 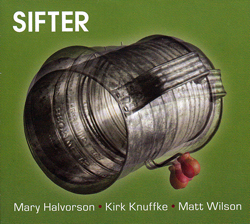 Presenting compositions from all three players, the NY-based trio of Kirk Knuffke (cornet), Mary Halvorson (guitar) & Matt Wilson (drums) this exceptional trio play a stripped down, rocking blend of free form improvisation. 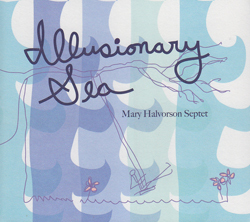 Limited edition LP of Brooklyn-based guitarist/composer Mary Halvorson's second recording with her amazing working quintet of trumpeter Jonathan Finlayson, saxophonist Jon Irabagon, bassist John Hebert, and drummer Ches Smith. 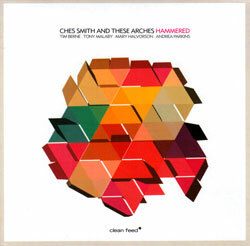 Drawing from some of NYC's finest - Tim Berne, Tony Malaby, Mary Halvorson and Andrea Parks - drummer Ches Smith's band takes the Downtown NY strategy to bridge experimental rock and avant jazz in unexpected and astonishing ways. 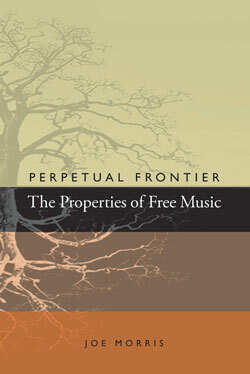 Joe Morris wrote this book to discuss aspects of free music, including responses to his questionnaire written by Joe McPhee, William Parker, Jamie Saft, Ken Vandermark, Marilyn Crispell, Nate Wooley, Jack Wright, Matthew Shipp, &c.
Brooklyn-based guitarist/composer Mary Halvorson's second recording with her amazing working quintet of trumpeter Jonathan Finlayson, saxophonist Jon Irabagon, bassist John Hebert, and drummer Ches Smith. 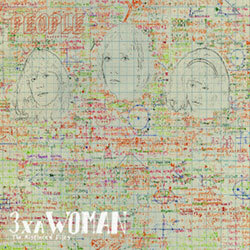 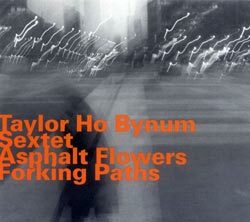 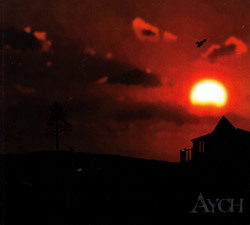 From NY and Boston the Aych group (pronounce as "H", a letter shared by all 3's names) presents three improvisers representing some of the best of the new breed of modern jazz based players in a trio without bass and drums. 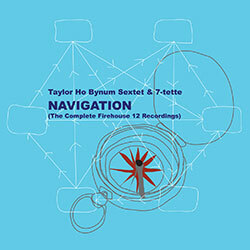 Taylor Ho Bynum with NY players Matt Bauder, Mary Halvorson, Jessica Pavone, &c. documenting live & studio performances recorded at The Rotunda in Philadelphia and New Haven's Firehouse 12. 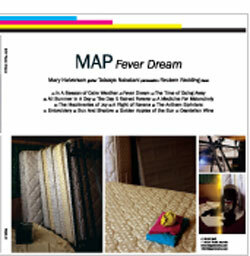 A beautifully produced 3-sided double LP from New York's MAP, guitarist Mary Halvorson, percussionist Tatsuya Nakatani and bassist Reben Radding, amazing contemporary improvisation. 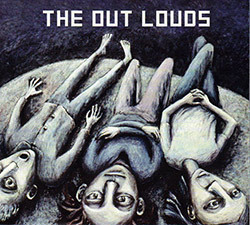 Free improvisation from a trio of New Yorkers working in abstract territory but maintaining the pieces in compact works that are succint and spontaneously focused. 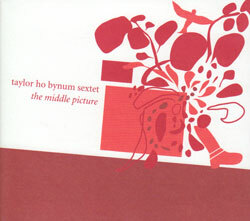 Braxton compatriot cornetist Bynum in solo, trio and sextet pieces with Pavone, Halvorson, Fujiwara, &c., exceptional music that balances jazz tradition with modern improvisational language. 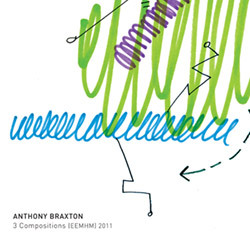 Braxton's Composition 361 is a staggeringly detailed 70 minute tour-de-force for his 12-tet, a work of shifting layers, counter-structures, quiet tensions and scorching explosions. 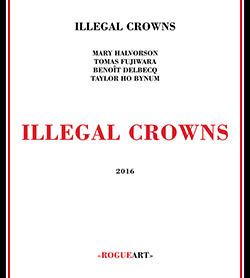 Braxton's Diamond Curtain Wall Trio with Mary Halvorson and Taylor Ho Bynum live using laptop and interactive electronics at the 24th Festival International de Musique Actuelle de Victoriaville. 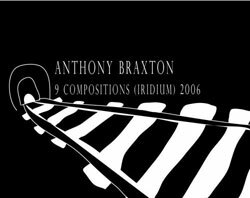 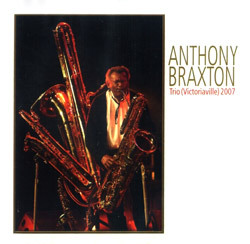 Braxton's 9 Compositions (Iridium) 2006 is a nine-CD-plus-one-DVD box set documenting what Time Out New York called "last Spring's epochal run" at New York's Iridium Jazz Club with his 12+1tet.